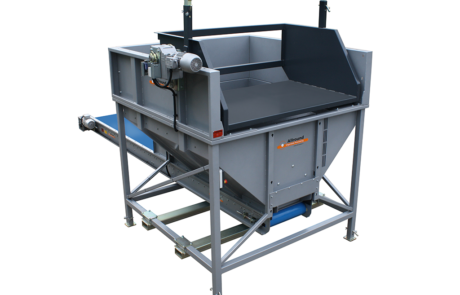 The storage hopper – Boxtipper is a machine that is specifically designed to provide a metered weighing and packing of its product. 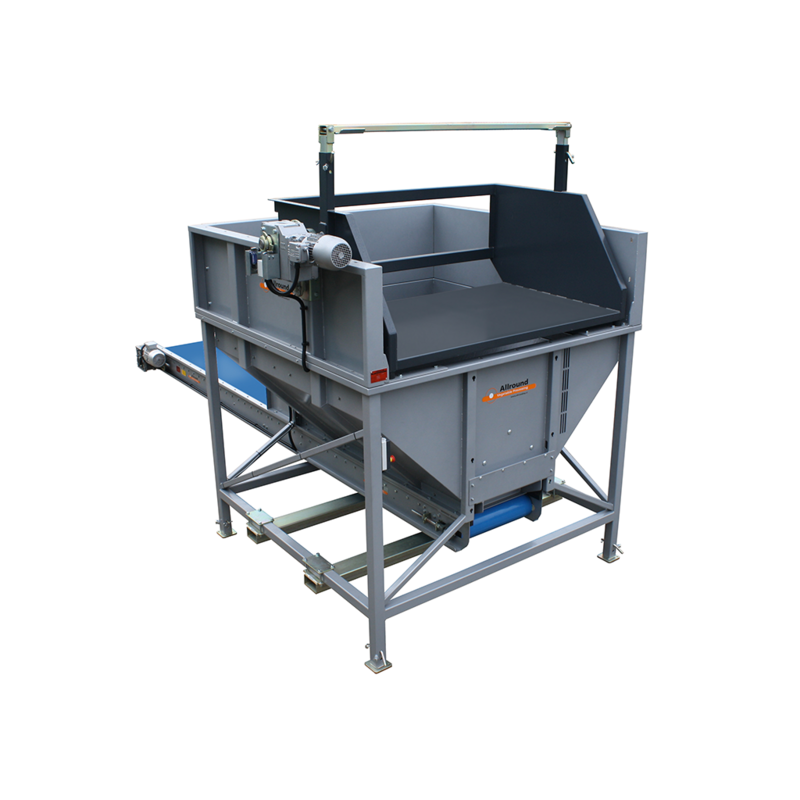 The product that the storage hopper – Boxtipper can process is mainly for the potato, onion and industry spheres. It is a very complex machine that actually takes up little space as boxtipper is attached on top of the hopper. The machine has a capacity of +/- 3 cubic meters but is obviously available with a larger content. 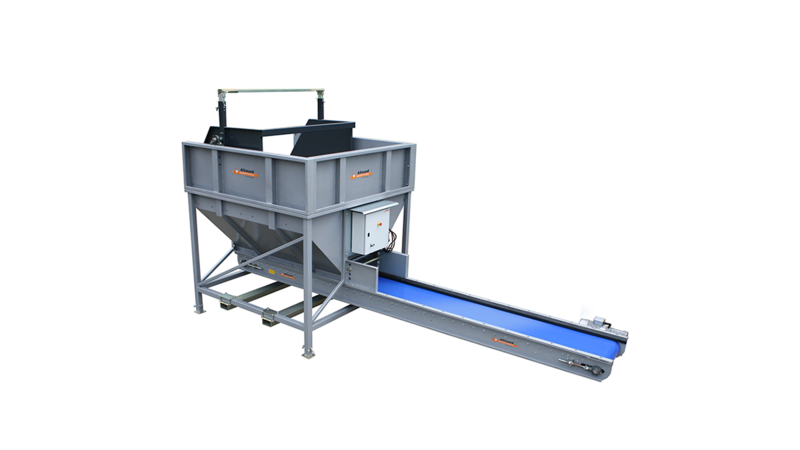 The hopper is provided with an adjusting possibility in height, this can be done very easily by removing the locking pin, and to bring the set of legs in the correct position. This is also the option for the boxtipper, the machine is specially designed for cubic containers with a maximum size: 1200×1700. 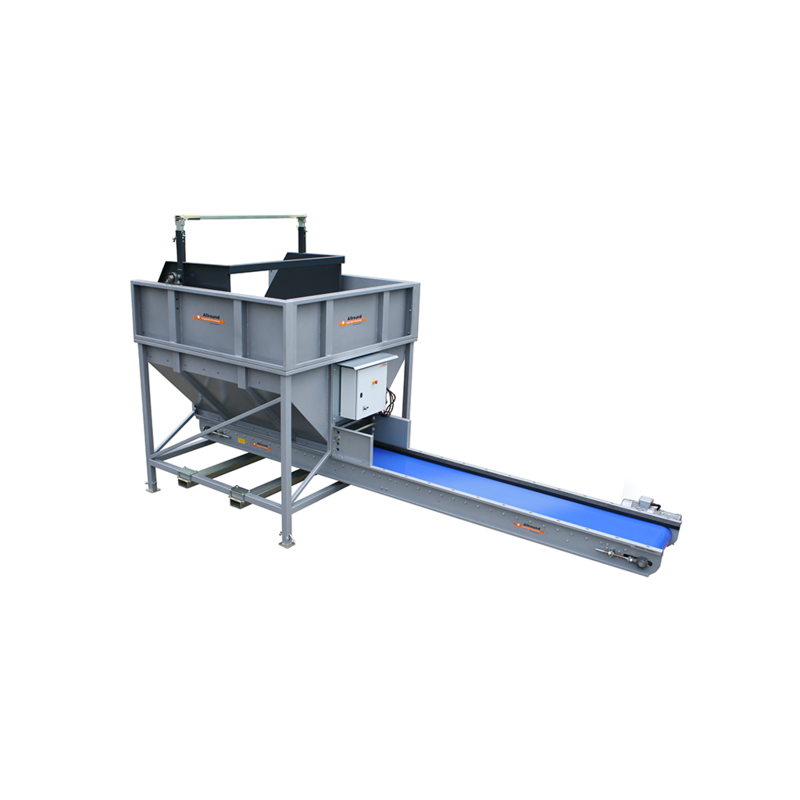 The boxtipper offers you the opportunity to boxes with a height of 1000 mm to 1350 dosed to process.